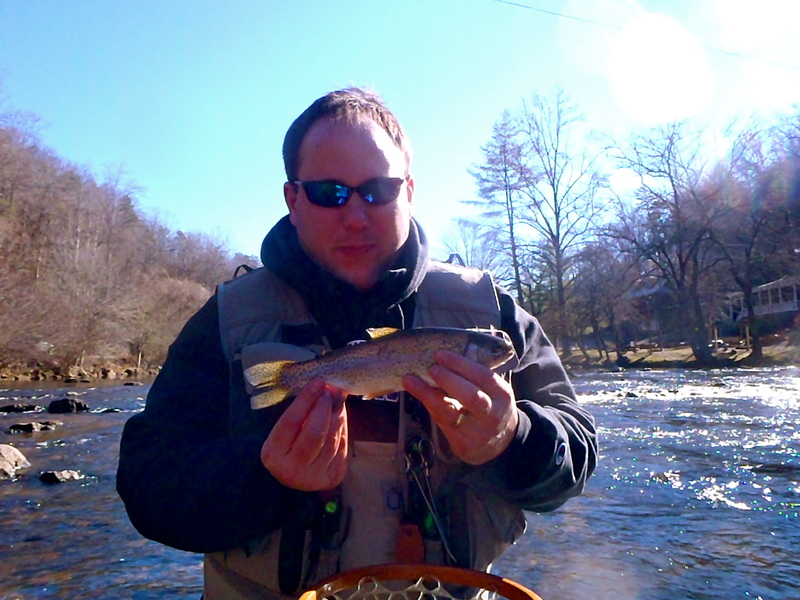 Winter Guiding on the Tuckasegee River | Hookers Fly Shop and Guide Service. Your Smokies Fly Fishing Experience. Most of the crowds we saw during Oct. and early Nov. have pretty much disappeared from the Tuck DH. Now you will only find the occasional guide with clients as well as a few of the anglers that don’t mind fishing in the colder temps. Today was no exception with less than a dozen anglers on the upper section along South River Rd. The fishing started out pretty hot for Trent and Aaron. 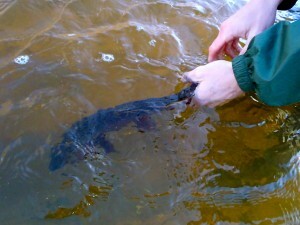 Trent began the day with a 17-18″ rainbow in the net followed by a small brook and a monster bow that was pushing 22-23″. The big bow put up a pretty good fight that ended with a snapped leader and a broken heart. Aaron had several nice takes and landed several fish in the 12-13″ range and ended up with a grand slam with the last fish of the day. Fish were taken on #8 Hot Head Brown Marvins, #14 Lightning Bugs, #18 Midge and a #14 Catamount (Purple and Gold Lightning Bug Pattern) Overall great day on the water with some excellent company. 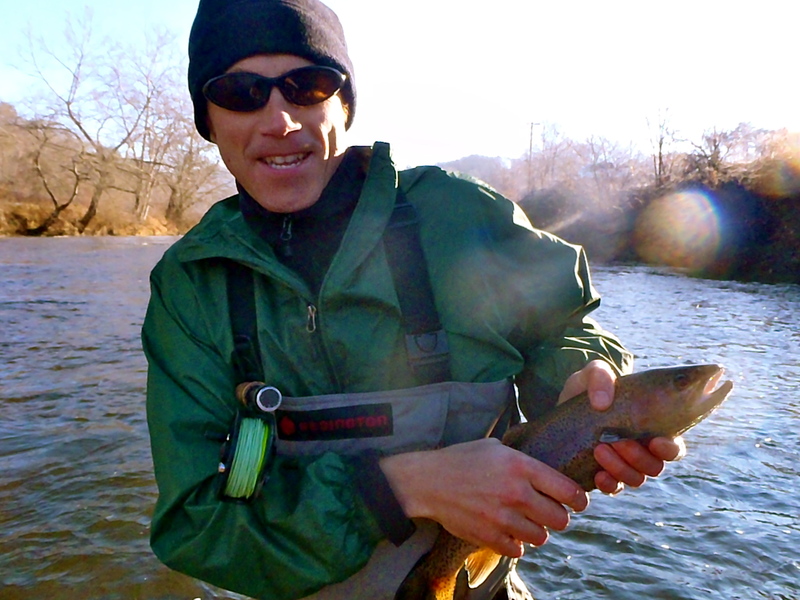 Don’t be turned off from fishing in colder temps because the winter can provide some of the best angling opportunities of the year especially on stocked rivers and streams. Just remember to layer up and always carry an extra change of clothing for those occasional slips and falls that every angler encounters as some point or another.